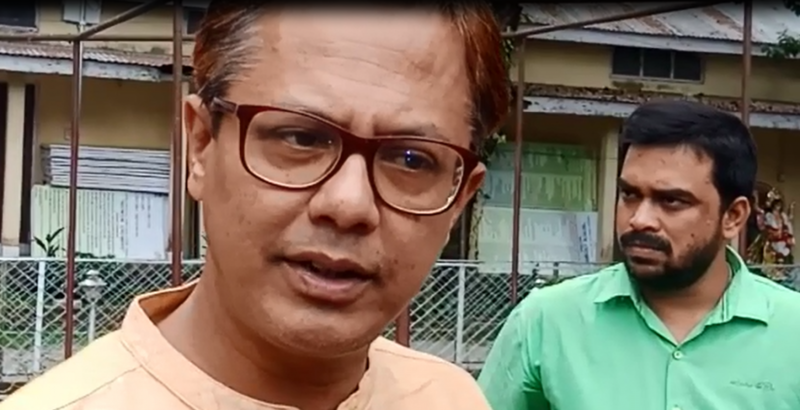 In a significant departure from his earlier stand on Citizenship bill, controversial Assam BJP MLA Shiladitya Dev on Sunday said the bill is not a necessity if names of Hindu Bengalis are incorporated in draft NRC. Interestingly Dev made a U turn on the issue following an uproar against his proposed convention on November 17 in support of the Bill. Earlier the Hojai MLA Shiladitya Dev, had led 26 Bengali organizations to hold a mass gathering in favour of the Citizenship (Amendment) Bill, 2016, saying he must face the ‘consequence for his misdeeds’. According to information, the 26 Bengali organisations, which have proposed to hold a mass gathering in Khanapara playground in the city in support of the Bill, are now planning to shift their venue from Guwahati to some other place in Hojai district, as it has been opposed by most of the organisations of the Brahmaputra Valley. It has now been cancelled. Instead a resolution was taken on Thursday to constitute a committee with representatives of the 26 organisations, Assam Sahitya Sabha and other groups. The committee will meet representatives of the organisations which have been vocal on the issue of genuine Indians being excluded from the final draft NRC and decide a course of action. The Citizenship (Amendment) Bill, 2016, seeks to grant citizenship to Hindus, Jains, Sikhs, Parsis, Christians and Buddhists who fled to India from Pakistan, Afghanistan and Bangladesh fearing persecution before December 31, 2014. Several organizations in Assam have opposed the bill saying it will pave the way for settlement of Hindu Bangladeshis in the state, thereby reducing the indigenous people into a minority.